YUGPURUSH – MAHATMA NA MAHATMA – An Untold Story In Indian History. Commemorating the glorious occasion of Shrimad Rajchandraji’s 150th birth anniversary year, Shrimad Rajchandra Mission Dharampur presents the theatre production, Yugpurush – Mahatma Ke Mahatma. 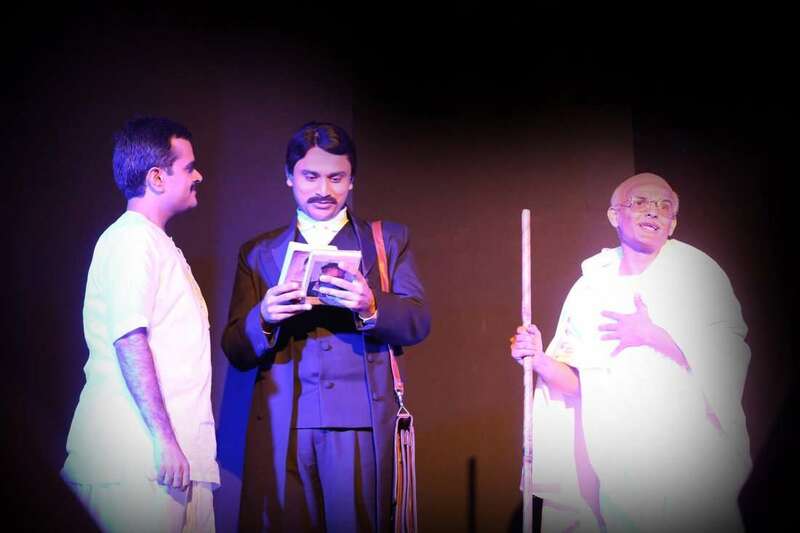 Yugpurush is a heart-touching and riveting portrayal of the profound relationship between Shrimadji and Gandhiji, depicting the transformation of Mohandas to the Mahatma. What began as an honest friendship, progressed to Gandhiji proclaiming Shrimadji as his spiritual mentor. Celebrated as the global messenger of nonviolence, Gandhiji remained indebted to the teachings of Shrimadji. Their bond initiated a brilliant new chapter in the cultural, political, and spiritual history of India, and of the world. Yugpurush highlights the values of expanding one’s capacity to love and give selflessly, respecting diversity, supporting truth, fostering trust, and building lasting communities. It brings to the forefront a powerful experience of looking within, upholding truth and fearlessness, and transforming character and consciousness. It revives a stirring spiritual legacy and the cultural philosophy of our nation. The legacies of Shrimadji and Gandhiji continue to offer new paradigms to global peace and human progress. The production marks a unique event in the history of Indian theatre, where a play launched with 51 shows. In addition to the Gujarati version, the play will soon be released in Hindi, English, and other regional languages. The play is directed by acclaimed director Rajesh Joshi and scripted by Uttam Gada. The music direction is by well-known composer duo Sachin–Jigar. The production marks the first instance in the history of Indian theatre, where a play launches with 51 shows. Having already taken Mumbai by storm, it is now coming to a city near you.